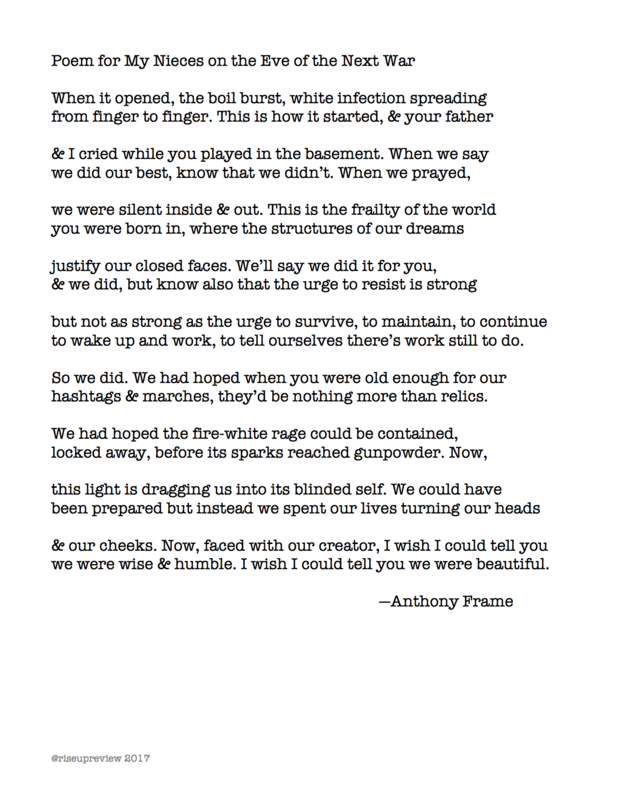 Anthony Frame is the author of A Generation of Insomniacs and four chapbooks, including Where Wind Meets Wing (forthcoming, Sibling Rivalry Press). He is the editor-in-chief of Glass Poetry Press and his work has appeared in Crab Creek Review, Third Coast, Boxcar, and Verse Daily, among others. His work has been awarded two Individual Excellence Grants from the Ohio Arts Council.